delightfully eccentric…a strangely moving portrait of a marriage in which both partners are compelled to deny their own instincts and longings. Just when you thought Stephenie Meyer’s bestselling Twilight books had sucked the idea of 21st-century vampires dry, along comes Matt Haig with this witty and humane story about a family of vampires living in respectable English suburbia. Haig writes in addictive, bite-size chapters that pump the action along. He has fun with all the Vampyre lore (garlic in the Thai Green Leaf Salad!) while keeping his characters convincing, original and likeable. All vampire fiction has a strong sexual undercurrent; but in this book, the passion’s not just for the pale-faced teens. Haig’s novel is great fun, with much enjoyment derived from the placing of these ancient bloodsuckers in dull English suburbia, “a place for good and quiet people to live good and quiet lives”. in Matt Haig’s The Radleys, we should expect something different from the fare provided by Stephenie Meyer and her numerous imitators. And we will not be disappointed. The genius of Matt Haig’s book is that the vampirism takes a back seat – a wet, bloody back seat, but still – to the blackly comic family turmoil that’s at the centre of the story…Take that, you Twilight mob. The trains of vampire lit and actual lit just met, in a glorious burst of sharp red. a witty introduction to present-day vampire lore…Highly recommended. The Radleys is yet another vampire novel. And we’ll almost certainly be hearing a lot more about it; it’s been optioned for a film with Alfonso Cuarón as the producer. But there’s an obvious reason for the latter, which makes the former less of a problem: Haig has managed to coax something delightfully new and, unusually, rather English from a saturated genre…an enjoyably twisty and self-aware tale. Haig combines strong dialogue with a healthy sense of self-parody in a novel that should appeal to all vampire fans, whatever their age. Haig draws plenty of delightful comic mileage out of Rowan’s blood-inspired transformation from a shy weakling to a confident hunk. He gradually ratchets up the pace and the tension until the taut conclusion. Bloody good fun. 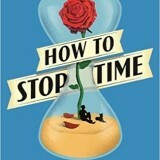 steeped in pop culture … Matt Haig delivers an original and very British take on the over-saturated genre. A bloody good read. Matt Haig takes an original and witty approach to the supernatural genre in this quirky young adult novel…Cleverly balancing light and dark notes, this coming-of -age story with a difference is a refreshing alternative to the vampire theme. teased for their outsiderness, and a parental tale of mid-life crisis. Dripping in blood, this is a story of family secrets so terrible that they shouldn’t be uncovered…Rowan and Clara think they are ordinary teenagers. They live quietly with their ordinary Mum and Dad doing all the things that their friends do. But, the Radley parents are hiding a secret; they are abstaining vampires and, one day, their abstinence will fail. Rowan’s teenage anxieties and sense of being an outsider take on a whole new dimension in this insightful story of adolescence with a difference. This witty vampire novel from British author Haig provides what jaded fans of the Twilight series need, notTrue Blood exactly, but some fresh blood in the form of a true blue family. The Radleys have secrets like other families, and one in particular that will rip your throat out. Matt Haig puts a wicked British twist on suburban family drama. Wry and racy, with the right fire in the blood to keep you turning pages late into the night, The Radleys is a story about a family tearing things apart. Come closer, there’s something you need to see here! Bishopthorpe is taking the book world by storm…This is an author who doesn’t do run-of-the-mill. The result is a blackly humorous novel that shimmers with secrets and shadows and unspoken longings. Matt Haig writes a wickedly clever and completely addictive vampire novel, delicious from beginning to end. Teens and adults alike will be absolute gluttons for The Radleys. Just when you decide to switch off True Blood and swear off anything remotely associated with the vampire genre, along comes The UK’s (L)it boy Matt Haig. The latest offering from the man behind The Dead Fathers Club and The Possession of Mr Cave (both currently being made into films) is The Radleys, a captivating tale of what happens when we suppress our darkest desires. Haig twists undead lore for his purposes to explore coming of age and family dynamics as well as asking us to consider what our appetites convince us to do and force us to do without. As shades of grey and the twilight wrap around our own dark undergrowth, Haig turns on a light. The Radleys is a thoughtful and adult take on an all-the-rage theme yet seems secondary to the deeper meanings being dug up. Dark humor pervades Haig’s entertaining vampire family soap opera…a refreshing take on an oversaturated genre. Move over, Cullens! The Radleys are an average family living in the suburbs – they just happen to be vampires. As funny as it is scary! The Radleys is a refreshing and original take on a vampire genre that has arguably become rather overworked of late, and the book’s main theme of abstinence is perfect for these debt-ridden times. Using short, sharp paragraphs and sprinkled with delightful asides from the fictional Abstainer’s Handbook, The Radleys is a coming of age story that will appeal to adults, both young and old. You know when you read a book that is so insanely good you just do not want it to end? Well The Radleys is one of these books! Right from the start it’s engaging, hugely entertaining. With some bits that make you roar with laughter (well I did anyway!) and bits where you have to stifle and gasp and read faster. …it is very very different to other vampire novels… I don’t want to give too much away if I am honest, because I think that everyone needs to enjoy this book as much as they can. It is so fun, so refreshing. Definitely one of the best books I have read this year. unbeating heart of what lies beneath. novel’s humour comes from the ridiculousness of vampires as people who refuse to grow up and take on life’s responsibilities…The pleasure of The Radleys is really in the details. Its author has a clear love of linguistic play, and while the novel rarely approaches the category of literary fiction (which itself cops a spray at several points) it does offer a language more sophisticated than pulp. The Radleys is a wonderfully written book. It’s a fun, original concept I haven’t seen anywhere else. The ending wraps things up nicely, but for me I would love a sequel – now the secret is out and all the family is “in-the-know”, I can just see the Radleys getting into all sorts of trouble! I really enjoyed this book and I loved the authors writing style, I will definitely be checking out Haig’s backlist. What combines with this seriousness of tone to make the book such a success is that Haig roots his story so firmly in everyday life, and, by doing so, he is able to move beyond it…It’s so well crafted, that it’s a great pleasure to read. …the best vampire book EVER… this book is now ONE OF MY FAVOURITE BOOKS OF ALL TIME…This book is funny, daring, and not afraid to push boundaries of normal vampire canon. And it´s written so well, it´d make you wish you had a vial of blood to gorge on every once in a while. Yep, I said it…Go forth, my loyal readers, and read this book! You won´t be disappointed. book could defy all your preconceptions regarding the vampire genre. about hope, and people getting a second chance in their lives. The Radleys is a charming novel about something very odd happening somewhere very normal. There’s a quiet, gentle humour throughout the book, and a strong understanding of human nature. I thoroughly enjoyed it and think most people would too. question happens to be Undead is secondary, because in Matt Haig’s masterly hands vampirism is much more than blood lust. It is a yearning for love, truth, passion, and authentic connection. knocks that pile of junk Twilight into oblivion. I was surprised and impressed with The Radleys. It’s an original and funny book which also pushes boundaries and explores how people deal with difficult situations – things that I think are important in fiction…A book with bite! The Radleys manages to take the almost tired vampire myth as a tasty metaphor for repression and moves it into the suburbs. This family sucked me in and got a hold on me that didn’t give. This vampire story will be unlike anything you have read before and one that you should give a chance, even if you aren’t into vampires. Forget Forks. Bishopthorpe is the new town for vegetarians! nothing insipid about these abstaining vampires, rather it is an absorbing look into the life of a likeably dysfunctional family with a dark (and bloody) secret. Matt Haig’s brilliantly British vampire novel The Radleys has restored my faith in the genre, hurrah!…there’s really not much to dislike about this book. It’s got everything really. Love, laughter, tears, lots of blood and a quick rundown of which celebrities are actually vampires (note: Jimi Hendrix is one). Great stuff. It’s dark, it’s funny, it’s wildly original . . . If you’ve been suffering from vampire fatigue, this could be the antidote . . .